Microsoft: No baked-in ad blocker for you! A new developer edition is the first desktop browser to include built-in ad blocking. Opera's fired a broadside in the web content wars Thursday morning, becoming the first desktop Web browser with built-in ad blocking—and explicitly encouraging users to turn it on as a way of improving their browsing experience. Competing browsers like Chrome or Firefox assign plugins like AdBlock Plus the task of blocking ads. But with Opera’s 37.0.2162.0 developer build for Mac OS and Windows, it's baked right into the software. Opera claims that turning on the ad-blocking feature can cut page load times by a whopping 90 percent, which PCWorld confirmed using a test build. The new Opera browser version will show you how many ads it found on the page. Why this matters: Google’s business model depends on selling online advertising. 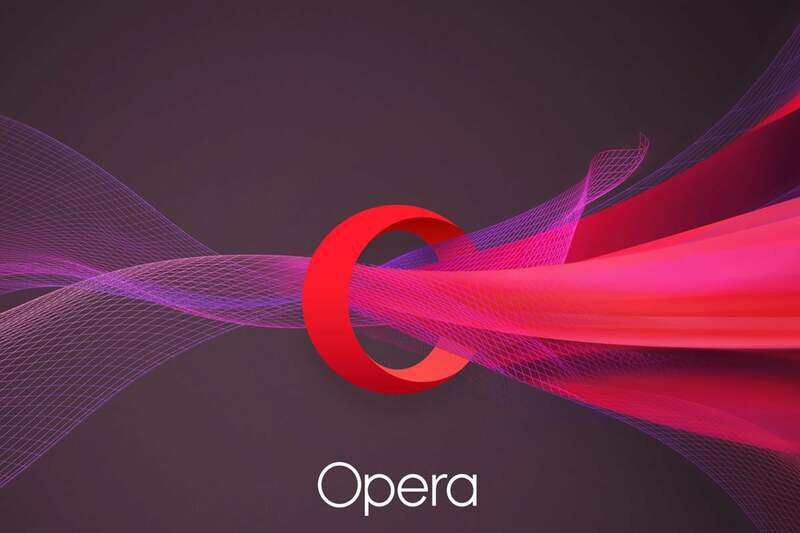 But with a business model that doesn’t depend on it (and less than two-percent market share), Opera can afford to lead the charge against intrusive or annoying web ads. What we don't know is what the Web will look like when users block ads and “free” content providers restrict access in retaliation. 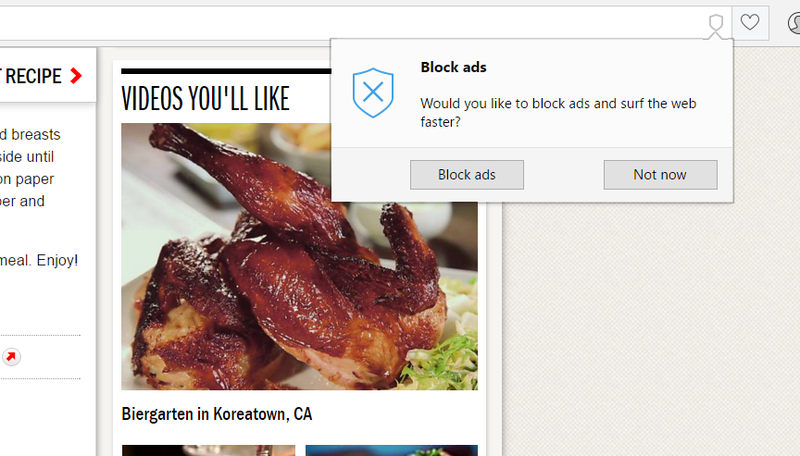 Opera's latest browser immediately encourages you to begin blocking ads. Online ads can be used for all sorts of reasons: to sell you things, to track you as you move around the Web, and even to plant malware on your machine. But it’s also extra code that must be loaded together with the text and images you want to see. All that slows down the time it takes a page to load. Install the new version of Opera, load a page, and immediately a popup appears, asking whether you “would like to block ads and surf the Web faster.” If you agree to Opera’s invitation, ads are blocked right away. Alternatively, you can either check a box in the Settings menu (do a search for “ads” in the Settings search box; it’s faster) or simply click a small, grayed-out “shield” icon to the far right of the URL bar. When ad-blocking is enabled, that shield is blue. You can kill ads in the new Opera browser via a global setting. Not convinced that ad-blocking will make a difference? 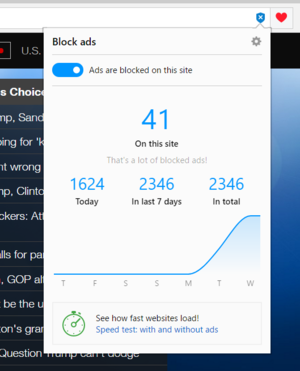 Then click the shield: Opera added an incredibly slick benchmark tool to show you how many ads it’s blocked on a given page. The browser will also perform a speed test, timing how fast a page loads with or without ads. It’s incredibly convincing. In my tests, Opera’s ad-blocking software eliminated traditional banner and display ads, as well as pre-roll ads on YouTube and other sites. (You’ll still see embedded video on news pages, however.) According to Kolondra, the browser will block tracking pixels and third-party scripts if they’re used for advertising purposes. 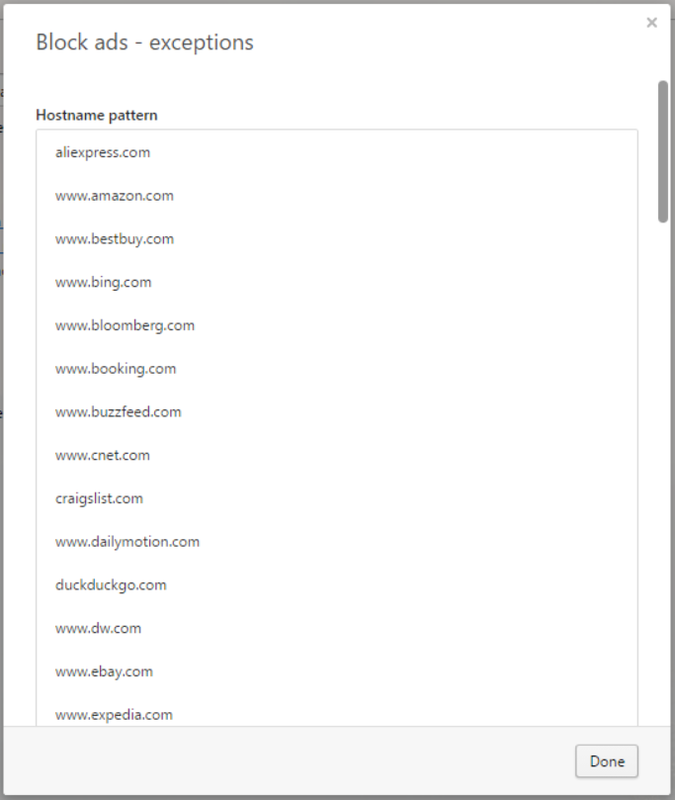 You can insert your own whitelist of sites that you allow Opera to insert ads. You’ll notice that some sites still feature embedded advertising, based on a “whitelist” that Opera used for testing purposes only. “We have no intention of making a business out of maintaining such a whitelist,” Kolondra said. Using the test build provided to us by Opera, I found that page load times were essentially halved—an impressive feat, given that Opera (along with Chrome) already delivered the fastest page load times of all the browsers we tested last year. I used two methods to measure page-load times: the stopwatch method I used before, when I tried to determine how quickly a page was navigable; and Opera’s own internal speed tests. 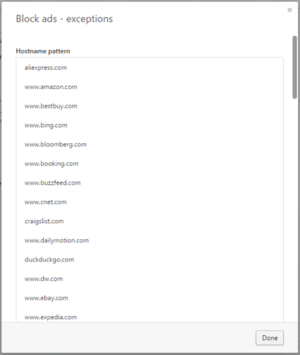 I used a sample of the ad-heavy, mass-media sites I had chosen for our browser roundup—including PCWorld.com. 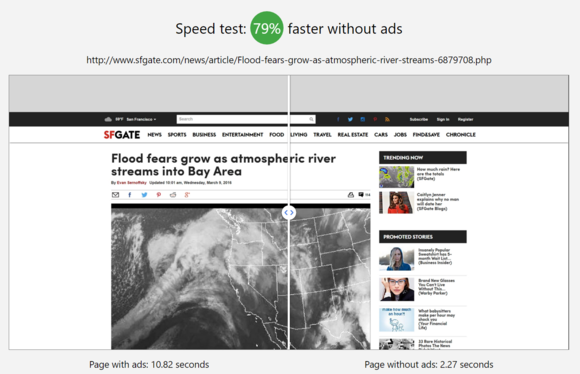 As a representative example, I found that loading a page on The San Francisco Chronicle’s SFGate.com page took 3.39 seconds to become navigable with ads enabled, and 1.63 seconds without. (I rebooted between tests, to eliminate caching issues.) The amount of memory that page required shrank by about a third. Opera measured the time from when it began to load to when all the ads were finished: 8.74 seconds. Without ads, the same page loaded in 3.18 seconds, or about 63 percent faster. Web page load times depend on a number of factors: the speed of the network connection, the size of the page, the number and complexity of ads. But the overall conclusion was inescapable: Blocking ads dramatically accelerates Web surfing. How much can blocking ads speed up your browsing? Opera’s internal speed test will show you. As for compatibility: Opera worked flawlessly with the ads turned off—except, for some reason, on PCWorld.com, where the page became unresponsive. Ad blocking isn’t just confined to Opera. Plugins on other browsers perform the same function, but Opera says its built-in ad blocker is more effective. This week, the International Advertising Bureau’s research lab released a guide to engaging with ad blockers, as well as a script that IAB clients can place on their Web sites to detect their use. Kolondra said it’s time for the ad industry to stop talking and actually produce more effective, less intrusive ads. “We hope our actions can help to accelerate the change that the ad industry needs to pursue,” he said. A small but growing number of sites simply refuse to show all or part of their content to users who block their ads. Kolondra said Opera “has a few ideas that we’re going to pursue,” and that more announcements would be forthcoming. The ad-blocking developer build is “a test,” he said. But even Kolondra was worried about a technological arms race of sorts. “My worry is that unless the problem with the bad ads is fixed, we can just expect more anti anti-adblockers appearing on the market, and then anti-anti-anti-anti-adblockers,” he said. This story, "Opera's testing a browser that kills ads, accelerating webpage loading by up to 90 percent" was originally published by PCWorld.